When talking to young families, I often reference the phrase "parenting is a muscle." I say this not only because of the strength required to raise a family but also because of the growth and development that comes along during the journey through parenthood. I become a mother in 2007 to my now 11-year-old daughter, Rubie Jayne. Rubie is the sweetest, most stubborn person that I have ever known. Rubie will listen to your advice, smile, turn around and do exactly what she had always intended to do. She learned that from her mother. Right now, families are being striped of their strength. They are experiencing the worst possible outcome - being divided. We must support the efforts to make it known that we are not okay with this horrific situation continuing. We must be strong. We must fight. 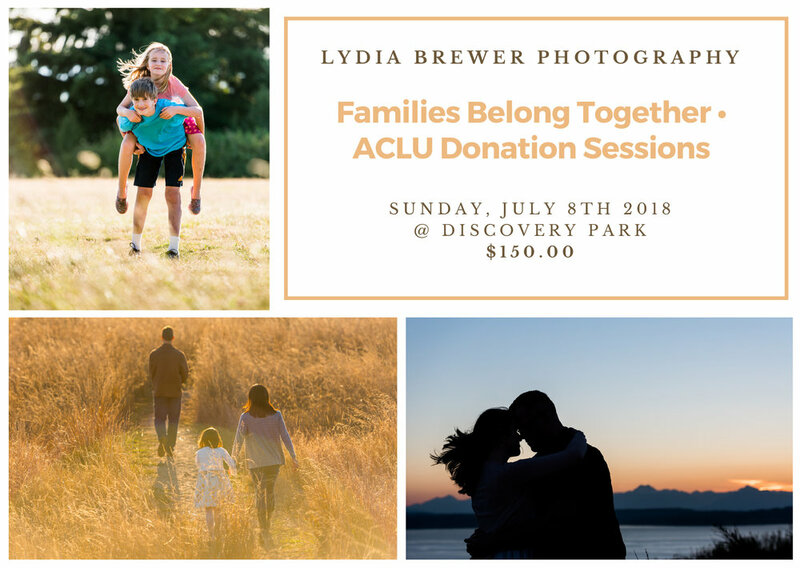 That is why I have partnered with https://www.familiesbelongtogether.us and https://action.aclu.org/teamaclu/campaign/families-belong-together-sessions and decided to host a day of photo session to benefit this worthy cause.